When Aliy Kirk-Owen met her puppy Gus she knew that he would be a great addition to her family. What she was less sure of was the black pup’s background. Adopted from a local SPCA, Gus was listed as a Labrador/Border Collie cross. But his brother looked more like a Collie, with more white markings. And as Gus grew he had a much slimmer build. After fielding questions and guesses about Gus’s breed makeup, Ali and her boyfriend decided to order a doggy DNA test to get a definitive answer. 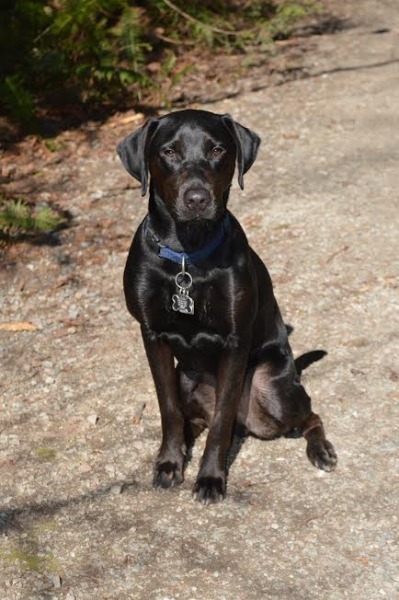 While the results confirmed what they already knew, that the canine was prominently Lab retriever, the DNA test revealed some unusual findings as well: Gus is also part Golden Retriever and Cocker Spaniel. Solving the mystery of your mutt these days is as simple as a test that takes 20 seconds, and will set you back $50. DNA my Dog provides pet owners with a simple kit to swab the inside of your dog’s cheek for 20 seconds to collect a sample. 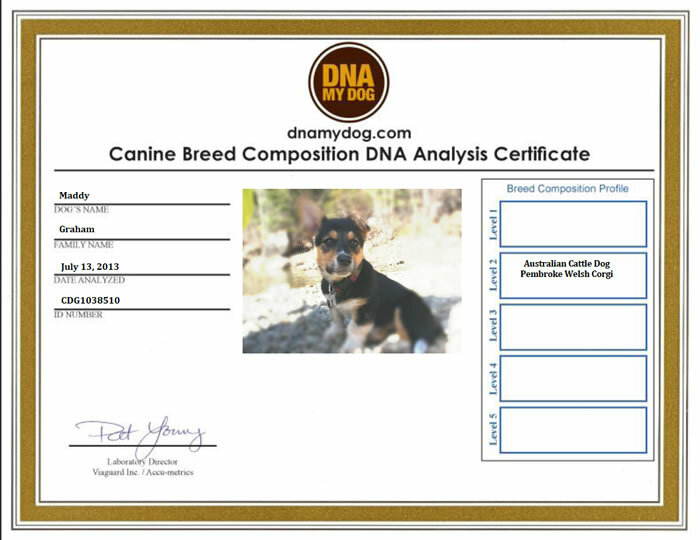 After mailing it in, the company runs the sample through its database of certified dog breeds to determine your dog’s unique genetic makeup. 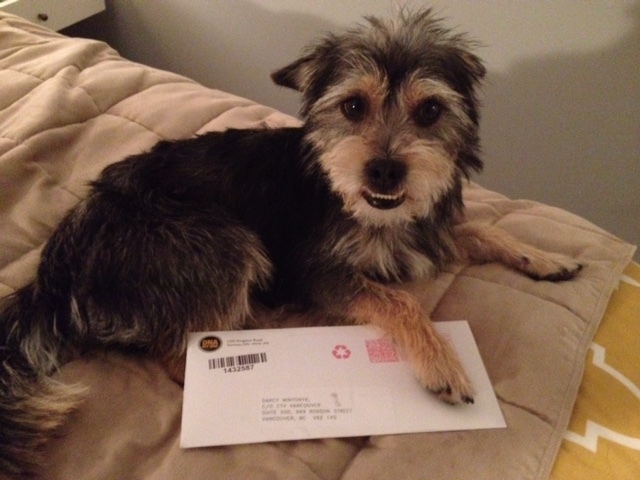 You’ll get the results mailed back to you, along with a certificate with your dog’s photo and ancestry. It also features the unique personality traits and health concerns and predispositions of each of the breeds, giving you a unique look at your mutt’s makeup. “The primary reason people are interested in determining the breeds in their dog is for curiosity. Beyond that they like to know possible personality traits and health issues to look out for, how to best train and feed their dog,” said DNA my Dog President Mindy Tenenbaum. Tenenbaum says they’ve seen mixes of anything from Pug/Boxers to Akita/Poodles and Bulldog/Ducktollers crosses. She says dog owners are surprised when they see a large breed in their small dog or vice versa, but it happens frequently. “The size gene is generally determined from one breed only, meaning if you had a Chihuahua/Boxer, for example you would have either a small dog or a large dog, not a medium dog,” she says. The test results show the ranges of DNA present in your dog. A Level 1 indicates over 75 per cent of your dog’s DNA is a specific breed, while a Level 4 indicates it’s 10 to 19 per cent. And a mutt can be made up of a lot of different breeds, as I learned with my own experiment. Mutt Seymour with his DNA my DOG test. I tested the service with my own dog Seymour, a scruffy 20-pound mutt that can outrun most dogs three times his size. Found wandering the desert in southern California and picked up as a stray, the shelter’s best guest was “Terrier Mix.” We figured maybe a mix of a Yorkshire terrier and something bigger, like a Collie. The results of Seymour’s test were remarkable: The lil dude was part Maltese and Jack Russell Terrier, with a little Yorkie and Miniature Pinscher thrown in for good measure. DNA my Dog admits that some mutts that are comprised of many different breeds, like Seymour, may not take on any of the physical characteristics of any of them. Tenenbaum says that’s because people often picture purebred dogs when they think of the mixes. “When people see Poodle mixes they immediately think of Standard Poodles with their curly hair which is what defines them. But when you take away that fur you have a totally different looking dog,” she said. The strange results of Seymour’s DNA test. 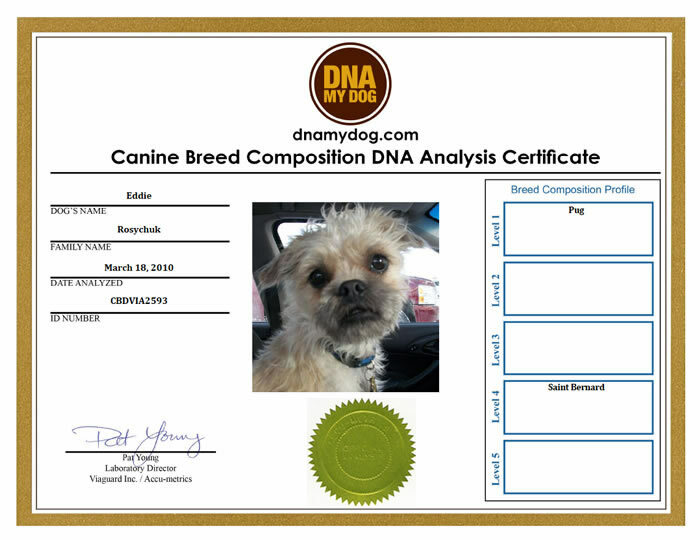 Forty per cent of DNA my Dog’s business is referrals and it’s also popular with rescues and animal shelters who want to give potential pet parents a definitive answer about what breeds the dog is. It actually has a charity program to provide non-profit shelters with free DNA tests, and it’s raised close to $100,000 for charities. Aliy says they enjoyed the suspense and guessing while they waited for Gus’s DNA results. “It doesn’t change who your dog is and what he means to your family,” she says. 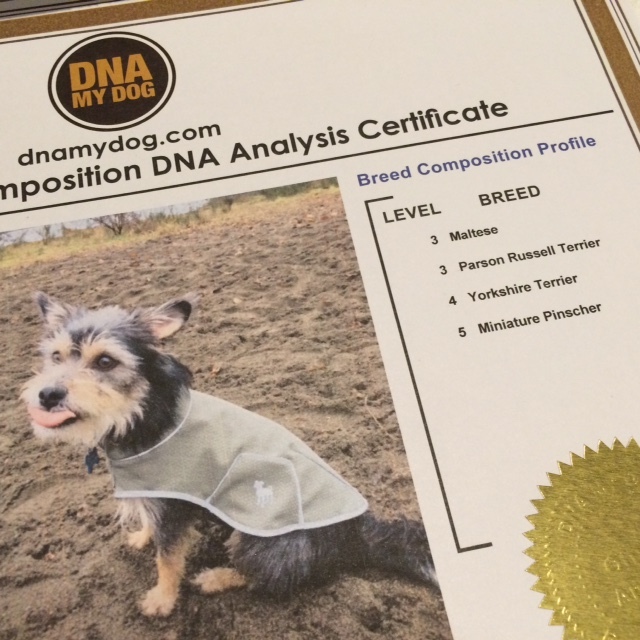 Learn more about DNA my DOG at www.DNAmyDog.ca.